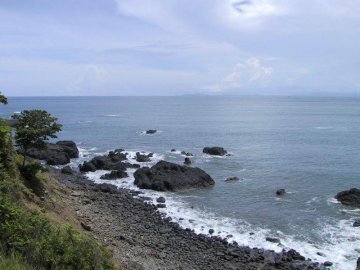 Address: 13 km south of Cobano Village, Puntarenas. Section of rocky platforms and white sand segments is 5 km long. With open sea and strong swell. For photography, and free diving. 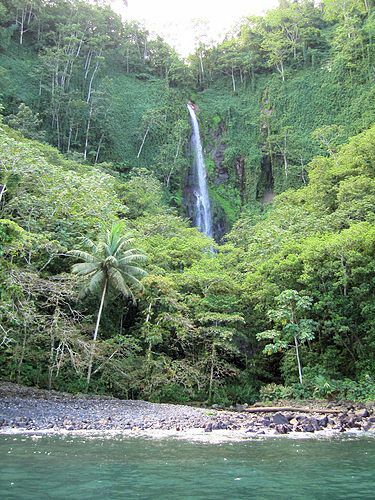 Address: 25 km SW of Paquera Village, Puntarenas. Located in a bay with a soft slope and very quiet, smooth swell. 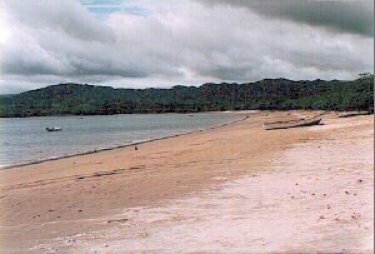 This beach has dark sands and clear water, promontories on both ends with cliffs and rocky outcrops that still hold vegetation. It is approximately 1.2 km long and is desginated to sun, sea, diving, and abundant fishing. Address: 115 Km west of the city of San Jose. Highly visited for the variety of tourist services offered around this hub and its own attractiveness. Fishing is practiced from the wharf or from the various jetties at the point, which also make good lookouts. 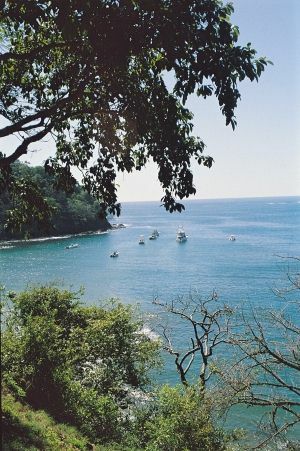 Address: 15 km south of the city of Puntarenas. 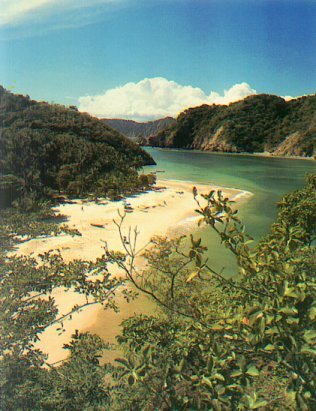 Silvery grayish sand beach 4 km long, with very attractive estuaries and the mouth of the Jesus Maria River. Address: Central Pacific, 20 minutes before Jacd. 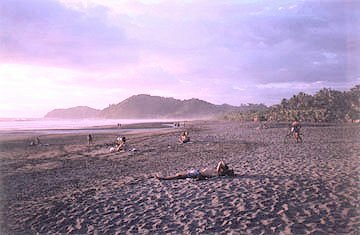 800 m of black sand beach, is very close to Playa Blanca (White Beach) which honors its name with 500 m of white sands. 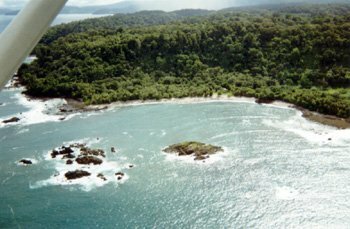 Both beaches are separated by a rocky section and the Carara Biological Reserve is only 20 minutes away. 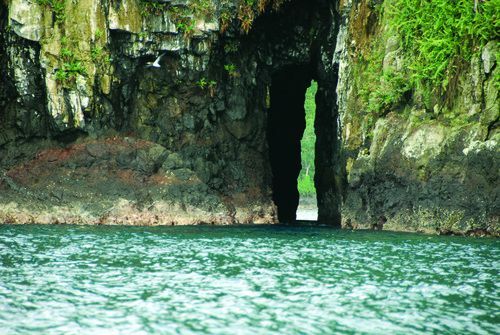 Address: 7 km NW of Jacd Beach, Puntarenas. 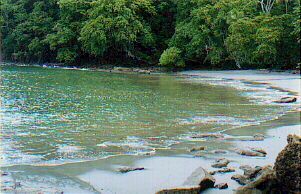 This 2.5 km long beach contains very still waters, ideal for bathers, and lush vegetation. An exceptionally beautiful bay sets the background to this dark sand beach. 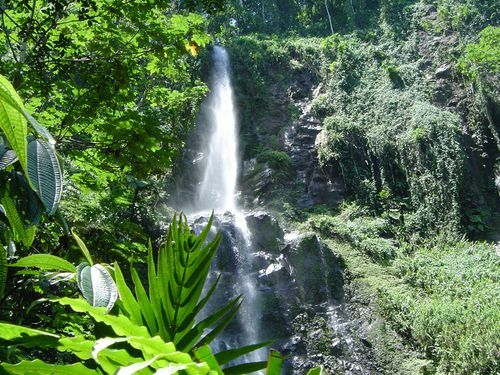 Address: 117 km west of the city of San José, south of Puntarenas. 7 km long, has a special swell to practice surfing. It is very attractive in length and width during the low tide. Bathing is restricted and somewhat dangerous. Address: 9 km SE of Jacó. Dark beach sands stretch out 10 km in a natural undeveloped state, which is theMiain attraction, receiving marine turtles to nest and lay theirjfggs every year, while the swell is especially high for surfing. 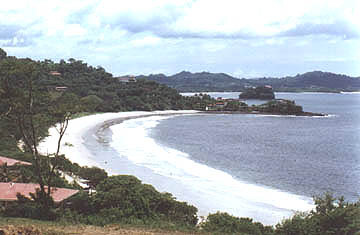 Address: 22 km SE of Jacó Beach. Extensive 6.8 km silvery grafish sand beach of great natural richness along the open coast. Its very strong swell advises bathers to take utmost^pfefatmons. Walks on the edges of the mangroves, camping, and nature observation are appropriate. 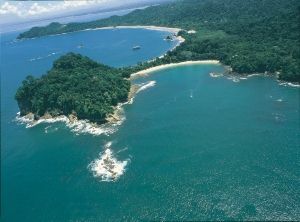 Address: 42 km SE of Jacó Beach. 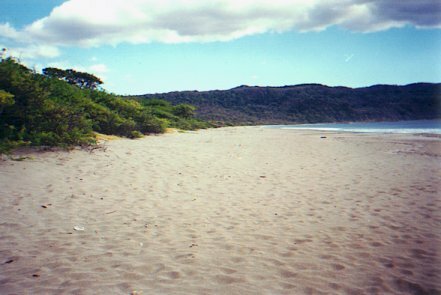 Dark sand beach with tall seaboard vegetation where coconut and almond trees stand out. 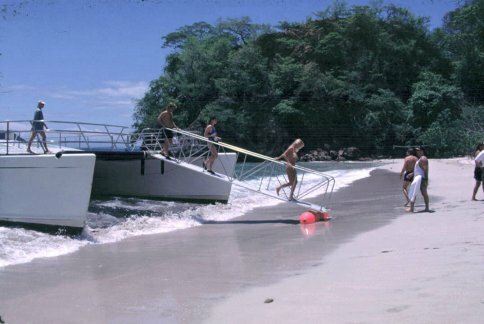 A beach designated for sun, sea, fishing, and water sports. 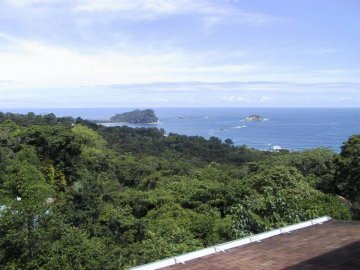 Address: 6 km SW of the city ofQuepos, Puntarenas. 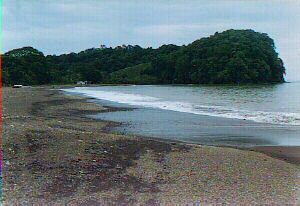 Light-colored sand beach, 3.6 km long, with strong swell and undertows. 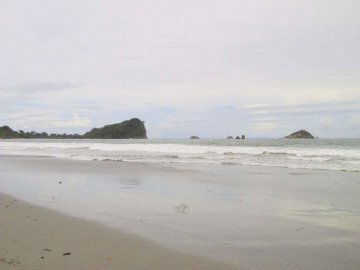 The closeness to Manuel Antonio National Park is its greatest potential asset. 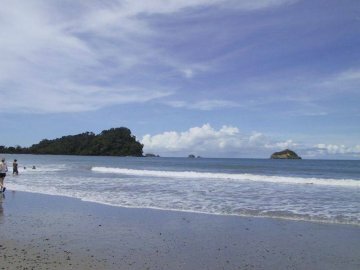 Address: 7 km SW of the city of Quepos, Puntarenas. 55, 683 ha. (139,208 acres). White sand beaches due to the presence of coral banks. Fauna is abundant and varied, an excellent attraction for researchers and naturalists. The park’s services include toilets, showers, drinking water, guards, museum, and administration building.